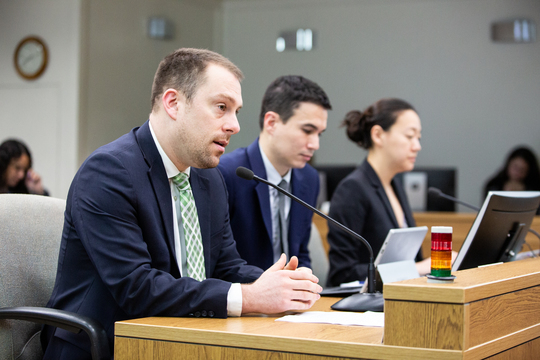 The legislature spent the past six years working to comply with the State Supreme Court’s McCleary decision, significantly increasing the state’s share of education funding in accordance with our state constitution. As we move forward, there is remaining work to do on education, but the basic framework for education funding has been established. Now, in a time of record state revenues and dramatic revenue growth over the previous budgeting period, various interest groups are trying to make the case for funding for their programs in our budget. While we enjoy additional funds in our state coffers, we cannot afford to do everything that we’d like to do, and to me, there is one clear priority that deserves legislative attention this year: behavioral health. Behavioral health encompasses mental health and drug treatment. Every community and nearly every family in our state is impacted by mental illness, opioid abuse, and other drug abuse. We need new options for people to get the help they need, new facilities where people can get treatment, an expanded behavioral health workforce, and more. This year, I am contending that for every two dollars of new revenue, we should be spending a dollar on mental health and drug treatment. Here’s an article on MyNorthwest in which I discuss the need to invest in behavioral health. Each legislative update, I’ll highlight different bills I’m working on and where they are in the legislative process. In this newsletter, I would like to talk about two bills that received hearings this week. Creating a work program for unemployed homeless adults. Senate Bill 5261, which was heard on Wednesday in the Housing Stability and Affordability Committee, is aimed at helping homeless adults find jobs. This bill would create a three-city pilot program to conduct outreach among the local homeless population and provide job opportunities. Participants would be paid the state minimum wage and would need to be connected to organizations that provide housing along with other supports so that they can get services like drug treatment and mental health counseling. Encouraging farming. Senate Bill 5259, which was heard on Thursday in the Local Government Committee, would allow new options for local governments to provide regulatory and permitting relief to farmers, use Innovative zoning techniques to protect farms, and take part in voluntary and incentive-based alternatives to regulation through a Voluntary Stewardship Program. 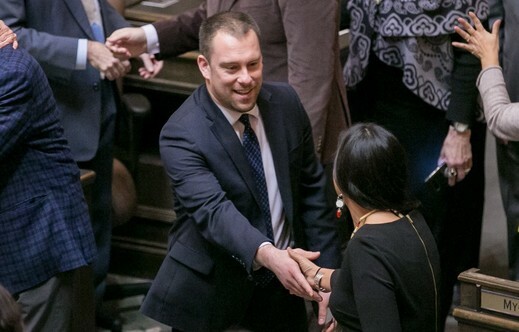 The bill arises out of numerous conversations I have had with Puyallup Valley farmers who are frustrated by overregulation and well-intended policies that often have unintended consequences. If you want to learn more about the 2019 legislative session, please join me for a telephone town hall meeting this Wednesday, January 30 at 6 p.m. This format provides a great opportunity for people to participate from the comfort of their own home. The event will last one hour and callers can ask questions, participate in instant polls or simply listen in on the community conversation. This week I had the pleasure of visiting with local farmers who came to support SB 5259, Central Pierce Fire and Rescue leaders, Pierce County Sheriff’s deputies, Puyallup City Council member Dean Johnson, Immanuel Lutheran Church pastor Garrett Knudson (who delivered the invocation for the Senate), Pierce College students, teen volunteers from Point Defiance Park, real estate agents, students from Puyallup who are attending Western Washington University, and many others. If you plan to be in Olympia, contact my office and schedule a visit.